My kids love watching "Buzzbee" on Disney Junior. 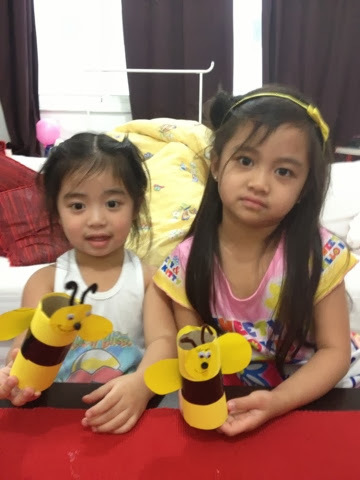 So this time around, we made our own version of a bumble bee. Whenever we do crafts like this, I make it a point that Xanti, my youngest one, will be able to do it with only minimal assistance from me. This bumble bee is so simple to make and the materials are readily available and rather cheap, if not, free. 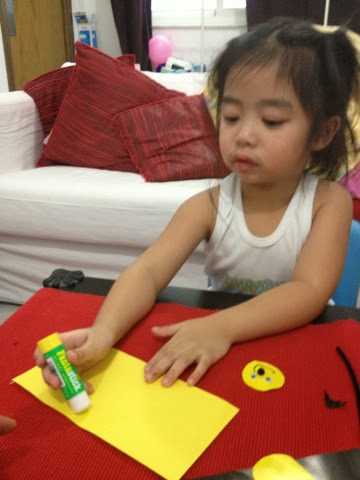 First, cut a circle using the yellow art paper. This will serve as the bee's face. Glue the googly eyes onto it, followed by the pompoms for the bee's nose. 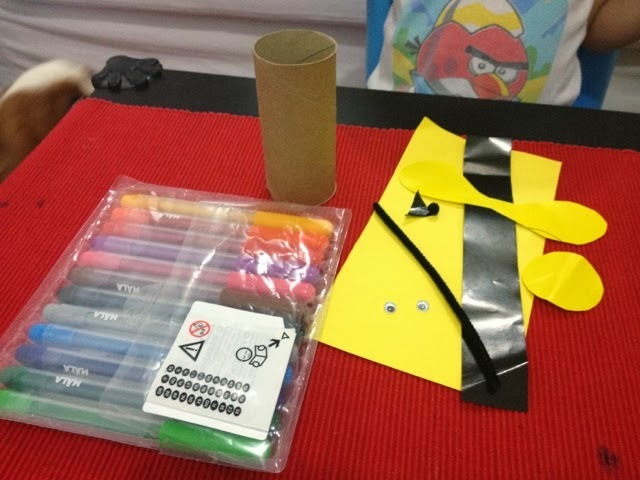 Ask your child to draw the mouth or you could use other materials for this purpose, too, if you like. Once you're done with the face, let's move on to the bee's body. 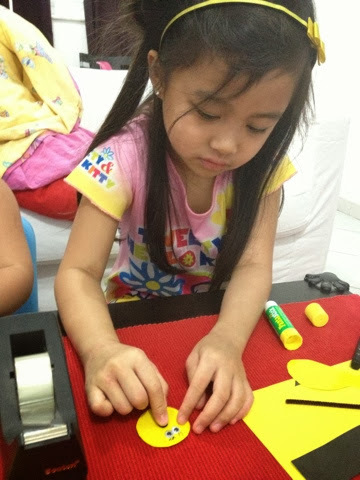 Cut a rectangle using the yellow art paper. The length and width of the paper should just be enough to cover the whole tissue roll. Glue this to the tissue roll. Cut a narrower piece of paper, this time using the black art paper. Glue this around the tissue roll at about the middle part of it over the yellow art paper. Stick the face on the upper part of the tissue roll. 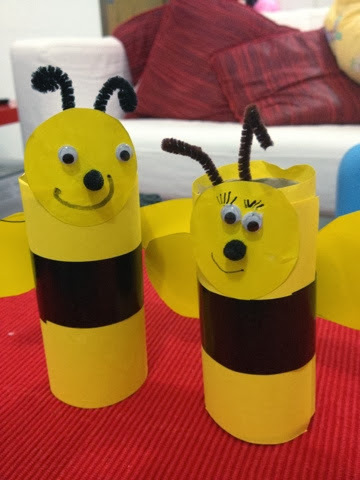 Draw a pair of bee wings on the yellow art paper, cut it and stick it on the back side of the tissue roll. Tape the pipe cleaner on the upper part of the tissue roll, at the back of the bee's face. This will then become the bee's antenna. You are now done with your bumble bee :). Have fun and enjoy playing with it.